Despite concerns about ongoing market volatility, Treasury bond-related exchange traded funds could continue to weaken as rising inflation and Federal Reserve interest rate normalization send yields higher. The iShares 7-10 Year Treasury Bond ETF (NYSEArca: IEF) declined 1.8% over the past month, dipping below its short-term 50-day simple moving average, as yields on benchmark 10-year Treasury bonds rose to 1.959% from a 1.567% low in mid-February. 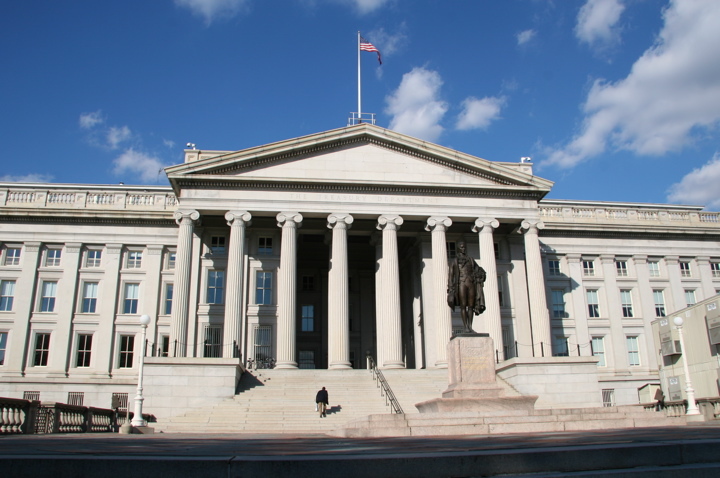 The Treasury bond market may continue to experience more weakness ahead. PIMCO Fund Manager Mark Kiesel projects U.S. 10-year yields will increase to a range of 2% to 2.5% this year, reports Wes Goodman for Bloomberg. Supporting the rising yield outlook, investors have raised bets on the Fed moving rates in 2016 after a gauge of inflation expectations for the coming 12 months rose to its highest in almost a year. However, most market observers believe policy makers will stand pat on their ongoing two-day meeting.